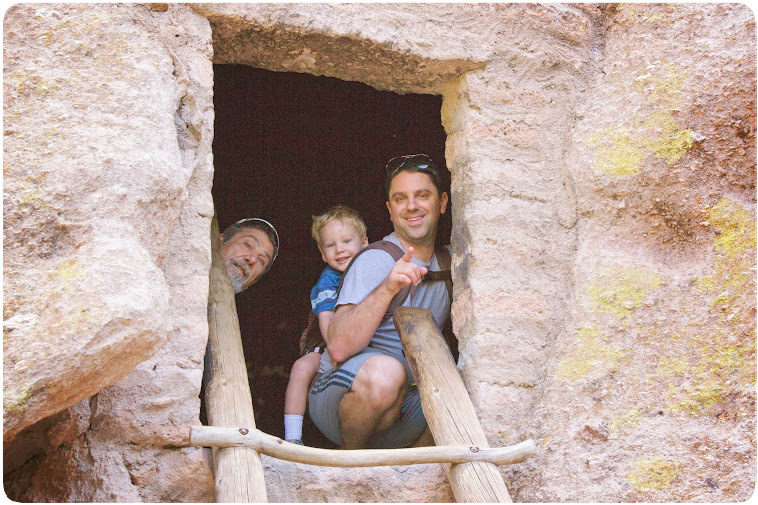 New Mexico in Photos – Part 2 [Wordless Wednesday] – my books. my life. 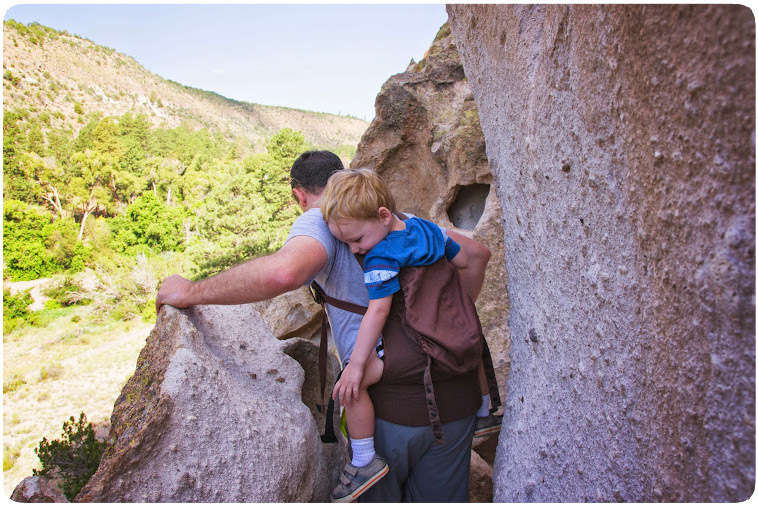 Last week, I shared some of the scenic views from our hike at Bandelier National Monument. 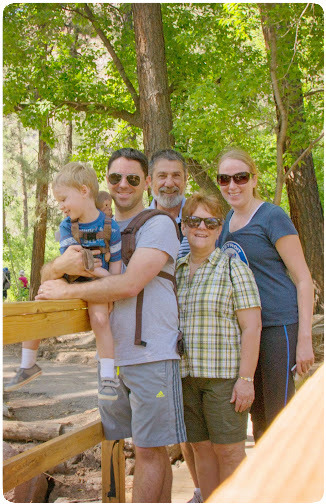 Today, I am sharing photos with my lovely family in them as well. Ben, Evan, Ben’s parents, and I went on the hike together and I snapped these along the way. We don’t all get to hang out very often, so these adventures are previous memories indeed. Ben gets Photo Credit on this one. We all had a fabulous time on the hike. Next Santa Fe post: macro shots. Someday I will leave New England and see the fabulous landscapes of New Mexico. Beautiful. Your Hub must have burned an extra 500 calories carrying the kid around. Kids have the life, don’t they? 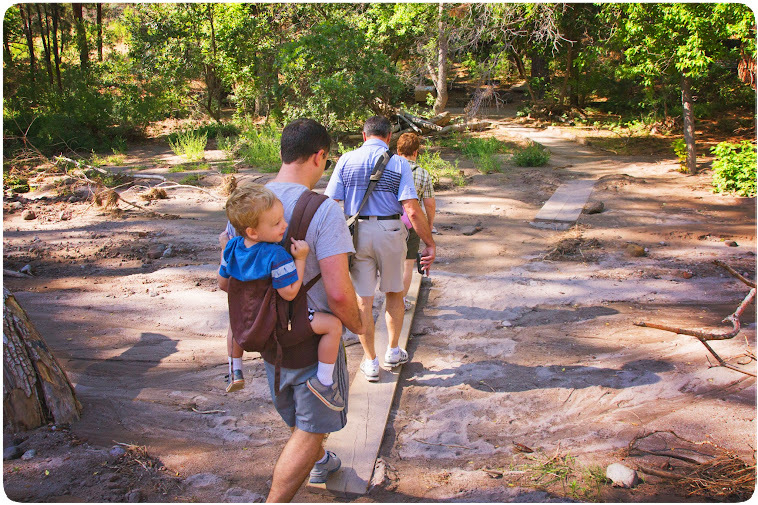 I remember my husband hiking in Yosemite with my daughter on his back and by the end of the week he was practically crippled.